Invite your audience to tell you about themselves by adding web forms to your website and landing pages. Every modern website invites visitors to share their contact information with web forms. 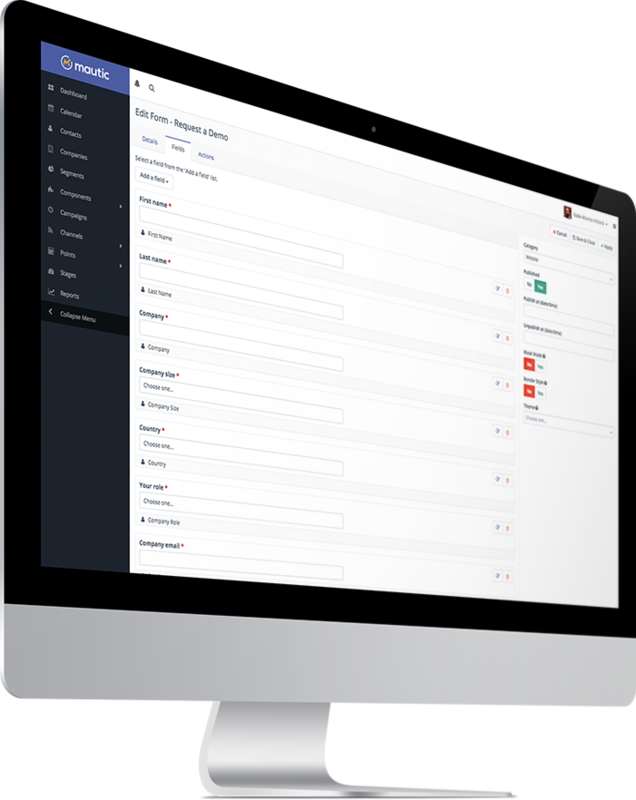 Mautic makes it easier than ever to embed forms directly into your existing website, or in customized landing pages. You can even take advantage of advanced features like pre-population, progressive profiling, and hidden fields to optimize for conversion while still capturing the information you need. Easily create elegant, custom landing pages with web forms to showcase your content and encourage visitors to share their information with you. Create forms in Mautic and embed them into your existing web pages to maintain a consistent, seamless site experience for your visitors. Include progressive profiling on your web forms with a simple click; then you can collect new details about your returning site visitors. Join over 100,000 organizations already using Mautic!